Unfortunately, there are times when Drain and sewer cleaning professionals may try to scam you into an unneeded cleaning. Fortunately, there are five ways to avoid a sewer or drain cleaning scam in Spokane Here they are. 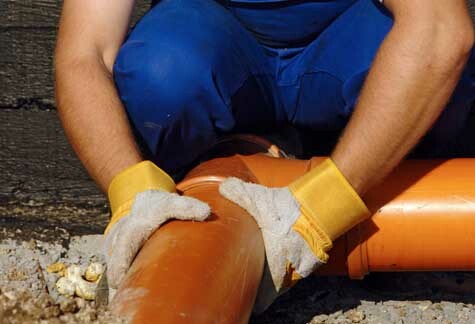 Before hiring a drain and Sewer cleaning company, you should do a bit of research. Start by making sure they are experts who are properly certified in their field. Go online and check the company’s background, while also looking for recent customer reviews. At the same time, be leery of any company employee who is using high pressure sales techniques. If you are not 100% certain that cleaning out your lines is needed, take the time to get a second opinion. Unfortunately, every now and then you may come across a company that essentially preys on the elderly, divorced, or widowed, particularly women. They will ask questions such as, “Are you divorced?” or “Is your husband home?” These questions have nothing to do with your sewer or drains, so see them as the red flags they are. Again, there are a few dishonest people in the world who may try to pass off someone else’s greasy and corroded pipes as your own. To prevent this from happening to you, ask the person performing the inspection to spend a few seconds taping something distinguishable in your own home. This will not only show you that the camera they are using is actually working (and not just a prop), but also gives you a starting point for your own video. This will keep them from playing a pre-taped inspection of pipes in deplorable condition. This may sound silly, but it is definitely something you need to do in order to avoid being the victim of a well thought out scam. There are some inspectors who may put something in your drain, such as a rock, to ensure it appears clogged. Others may try to plant some type of “evidence” that your plumbing problems are significantly worse than they actually are. This is especially important if you are dealing with a team of inspectors. One may try to divert your attention, while the other clogs your lines. If you decide that your drain and sewer lines are desperately in need of being cleaned, don’t simply tell the company to go to work. Always get a detailed estimate, while also asking questions about what they will be doing and what equipment they will be using. Then, research what they have told you. Make certain their estimates are in line with other companies. At the same time, be sure how they will handle the drain cleaning and the equipment they will be using is reputable in the field.